The Kizer Ki4418 Ichthyo flipper is a unique everyday carry (EDC) piece with a very ergonomic shape. 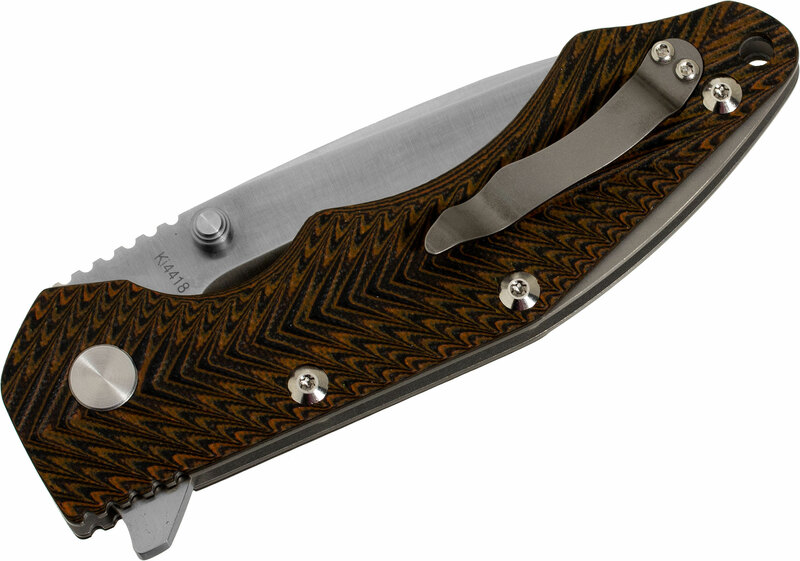 The avid fisherman among the Kizer Cutlery designers saw the Coelancanth and became inspired by the living fossil. The Ichthyo and Kesmec are the resulting tributes to the world of the deep. 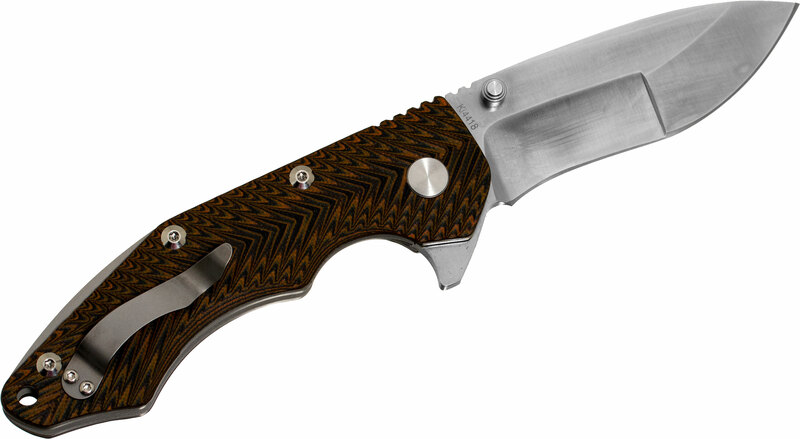 The handles are made from milled orange and black layered G10 over 6Al4V titanium liners with the milling pattern providing a little bit of additional grip. 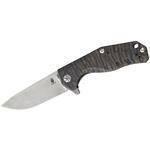 The blade is crafted from CPM-S35VN stainless steel with a stonewashed finish for a rugged and worn-in look. S35VN is a high-grade steel with exceptional edge retention and wear-resistance. 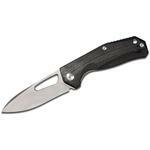 This flipper features a liner lock, dual thumb studs, lanyard hole, jimping on the thumb ramp, and a tip-up right-hand carry pocket clip. 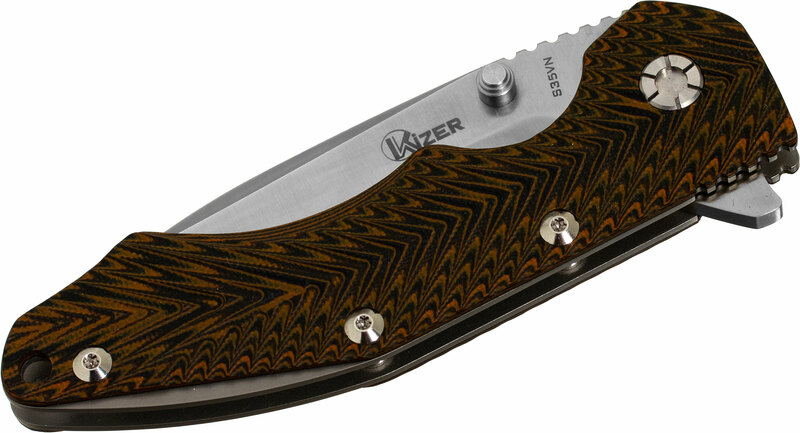 Hey, I wanted to share "Kizer Cutlery Ki4418 Ichthyo Flipper 3.5 inch S35VN Satin Compound Blade, Orange/Black G10 Handles" with you from KnifeCenter.